Exterior color: Black Interior equipment: Standard Interior in Black •	19" Macan Design Wheels •	CD player •	Front Bucket Seats •	Front dual zone A/C •	Memory seat •	Remote keyless entry CALL OR EMAIL FOR ADDITIONAL DETAILS TODAY! Exterior color: Black Interior equipment: Standard Interior in Black •	19" Macan Design Wheels •	Memory seat •	Remote keyless entry CALL OR EMAIL FOR ADDITIONAL DETAILS TODAY! Manufacturer’s Suggested Retail Price. Excludes options; taxes; title; registration; delivery, processing and handling fee; dealer charges. Dealer sets actual selling price. While great effort is made to ensure the accuracy of the information on this site, errors do occur so please verify information with a customer service rep. This is easily done by calling us at (561) 926-9141 or by visiting us at the dealership. 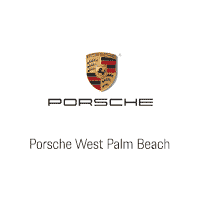 Porsche West Palm Beach	26.7073555, -80.0963979.